In the early 2000s two-thirds of New Zealand adults were in paid employment, although a quarter of these worked part-time. Less than a fifth worked in the government sector – a relatively low proportion. 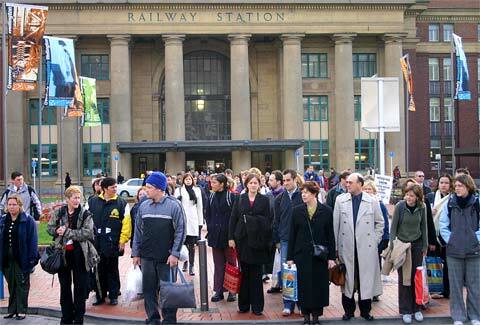 Most public-sector employees lived in Wellington, the nation’s capital. It is likely that many of the workers shown here were employed by the government.